Sage Estimating is the premiere construction estimating software for accountants and financial managers at large and small construction and real estate firms. For a proven construction estimating software solution, check out Sage Estimating and Aktion Associates. Sage Estimating has a portfolio of features that can help you automate many tasks and get more done. Read more about this premiere construction estimating software solution and let the experts at Aktion help you get started. 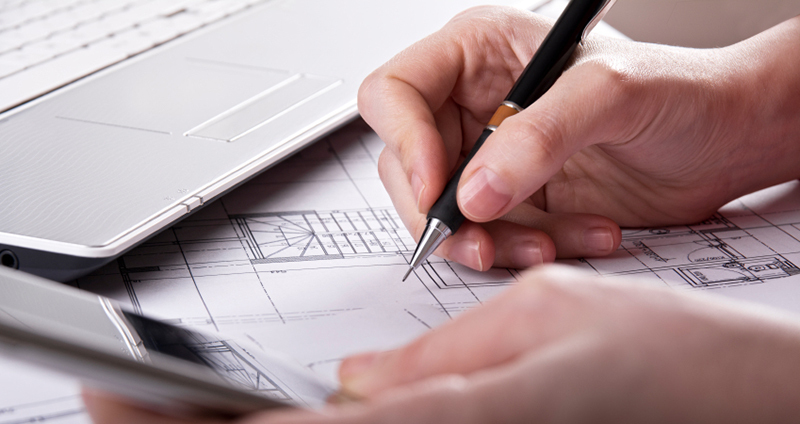 Construction estimating software can make a real difference to your bottom line. Trusted by more construction firms than any other, Sage Estimating has more than 25 years of industry know-how built right in. See how you can create more accurate estimates in less time while increasing your bid-to-win ratio. Whether stand-alone or integrated with the Sage 300 Construction and Real Estate or Sage 100 Contractor construction accounting and project management solutions, Sage Estimating is designed specifically for the construction and real estate industries, unlike generic spreadsheet applications. Manual takeoff methods waste time and money. Aktion’s Thom Spalding demonstrates the ways an eTakeoff digital solution speeds up and simplifies. Takeoff areas, lengths, perimeters, and counts as much as 50% faster with pinpoint accuracy. This ensures your jobs are more profitable, and leaves more time for more bids, which boosts your backlog without increasing staff or costs. Put your best bid forward. To win more work and ensure the profitability of every project, you have to build estimates with more speed and precision than ever before. Let Sage Estimating do the heavy lifting for you. With features like trade-specific databases, Smart Assemblies, and built-in analysis tools you’ll build more bids with quick precision. Plus, you can integrate estimating with the rest of your business. Sage Estimating works in tandem with job cost and accounting in Sage business management software. Then, once a bid is approved, the appropriate data feeds seamlessly from estimating to accounting and job cost. No data loss. No redundant entry. As a result, it’s easier to share project details with your entire team. calculates costs associated with materials, labor, supplies and equipment. cost items into your bid worksheet. style of estimating including digital plan takeoff. Slash takeoff time by 50% or more compared to manual or generic spreadsheet methods. Save time on estimate analysis with built-in sort capabilities. Refine and make last minute pricing adjustments with a few mouse clicks. Eliminate generic spreadsheet liabilities associated with hidden cells and broken formulas. Are You Ready to Upgrade to Sage SQL Estimating? The newest version of Sage Estimating (formerly “Timberline Estimating”) is MS-SQL compatible and is packed full of new capabilities. Join Aktion Associate’s very own Thom Spalding as he guides you through the best features of Sage Estimating. Build and manage your bidder lists more effectively. Save time putting bids together and efficiently submit a proposal on time. Keep track of communications throughout the entire process and share/track changes throughout the entire bidding process. With Sage Bid Management you’ll experience true collaboration between everyone on the project including estimators, subcontractors, and material suppliers. The solution helps estimators and bid coordinators automate and more efficiently manage the entire bid process. As a result, estimators can spend more time on vendor/subcontractor, prequalification, selection and negotiating the best contract terms. Information can be viewed, accessed, and shared with bidders from a single, convenient, and secure online location. With improved visibility into project documentation, you’ll gain better control throughout the preconstruction phase of every project—laying the foundation for successful and profitable projects. Our comprehensive estimating consulting services provide the best results when implementing your Sage Estimating software. Learn from our experts how to streamline the implementation and get the most out of your investment.